Many people wonder about the difference between a trade magazine and those magazines you typically find at a local newsstand or grocery store checkout line. Let's begin by looking at consumer magazines, what they are, who they target, and where you can find them. Consumer magazines are targeted to the general public and have a wide audience and a wide viewpoint. Two examples are Good Housekeeping and People magazine. Good Housekeeping (one of the oldest consumer publications) reaches an audience of over 30 million each month and while it is a general interest magazine, it is also considered a "specialized" publication because it contains news and information specific to the home. People magazine has a wider range of interest because it focuses on a wide array of newsmakers (from celebrities to politicians) and is not "specialized." 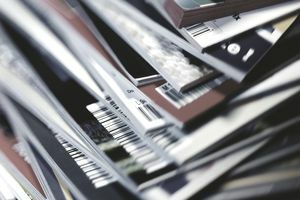 Consumer magazines are often referred to as "glossies," especially by those in the publishing world because they are usually printed on glossy paper. This is in part because advertisers (from BMW to Gucci) pay a hefty fee to showcase their products and want them to "jump off the page." There are literally thousands of consumer magazines produced in the United States each year and some of the major publications (like Vogue) have sister publications abroad (like French Vogue). On the flip side, not all consumer magazines are distributed nationally. Some, like Texas Monthly, are only available locally. Whether it's Time magazine, Men's Health, Rolling Stone or Elle Decor, weekly and monthly consumer publications can be purchased either by subscription (at a discounted rate) or found at your local newsstand, grocery store checkout, national chains like B&N and all major airports and train stations. Many of these "travel or destination newsstands" are operated by Hudson News, the largest newsstand operation in the United States. Nearly every profession has an industry publication, from Automotive News to Supermarket News to Advertising Age (the bible of the advertising world). There's a saying: "You don't read a trade magazine because you want to, you read it because you have it." That's because trade magazines cover topics only relevant to those working in that particular industry. Trade magazines (often referred to as "trades" or "trade journals") offer news and information including new product listings, feature articles, and Q&A interviews. Because they are so targeted in content, trades are generally only available by subscription. However, some trades cater to such a large industry, like financial services, they are available at the same outlets as consumer magazines including B&N outlets. People think of trade magazines as a place to go to "talk shop" and discover new products and trends in a chosen profession, written in the language of industry experts. Articles are written by staff editors but "trades" also hire freelance writers because it's more cost-effective. Trades, unlike consumer magazines, have budget constraints because they aren't pulling in hefty advertising dollars.